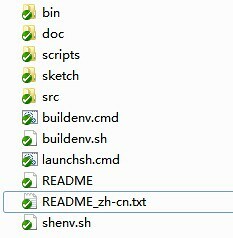 template.zip is the template of Arduino-Lite projects, what contains ready-to-use Makefile and sample source code at src/main.cpp. 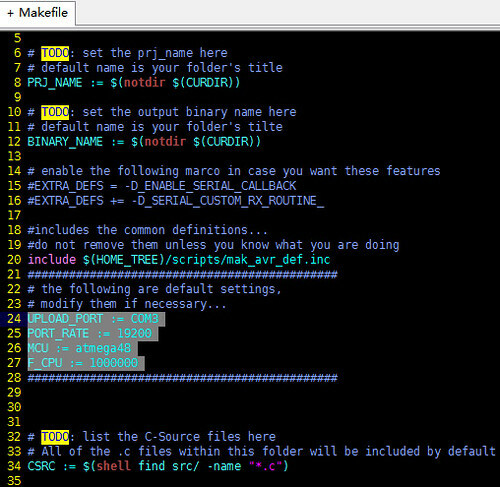 The compilation system of Arduino-Lite use Makefile to compile source codes, which process are contained in a bash shell. 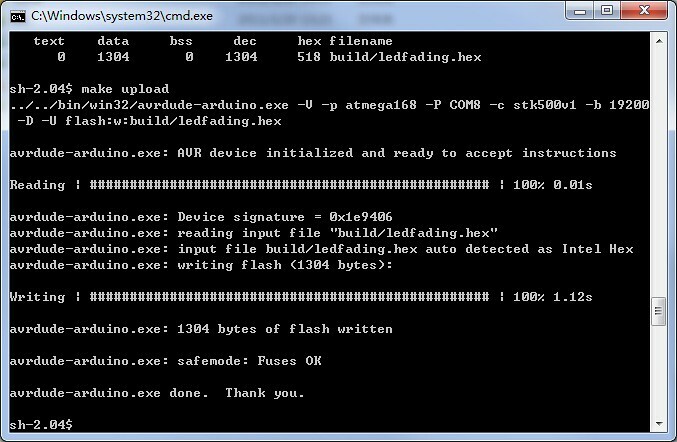 You can launch a bash shell by executing “launchsh.cmd”. 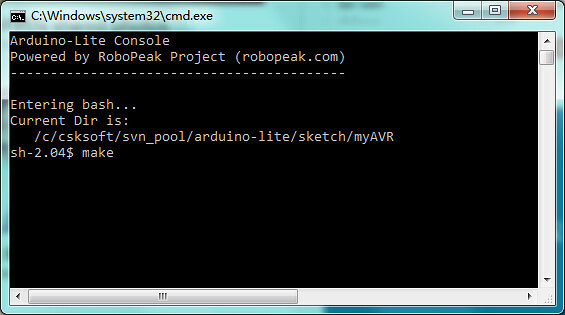 b. Rename the template directory to your project’s name, in this case, “myAVR”Utill now, a new Arduino-Lite project has been created, which will generate code for Atmega168 at 16MHz. The project contained by template.zip is a LED fading sample, will output at arduino pin 11. If your program need to work on different chip or frequency, please refer to the rest part of this article. 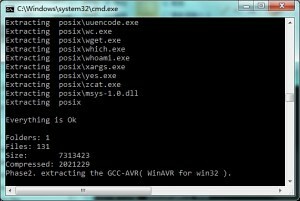 Just place source code under the src directory or its sub directories (.cpp, .c, .S, .h and .hpp files are supported), the compiling system will automatically compile and link them. Just write code, and same, no need to modify the Makefile script. For instance, the following figure is the project tree of one of RoboPeak projects. Arduino-Lite will compile the whole source tree automatically. Like a magic, isn’t it? 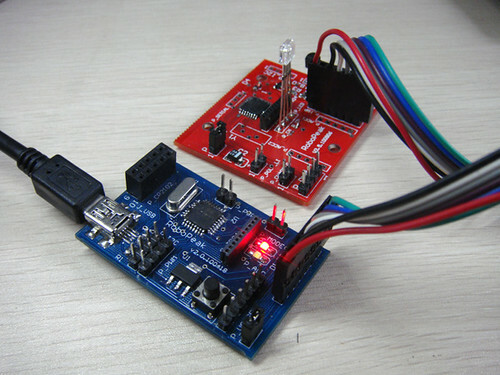 3.5.2 Program any AVR chip based circuit system Arduino-Lite compiling system integrated the support to AVR-Doper(http://www.obdev.at/products/vusb/avrdoper.html) and compatible programmers. 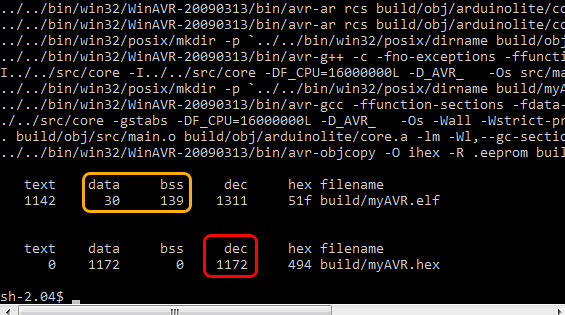 You can use “make burn” to program any AVR chips or configure fuse. 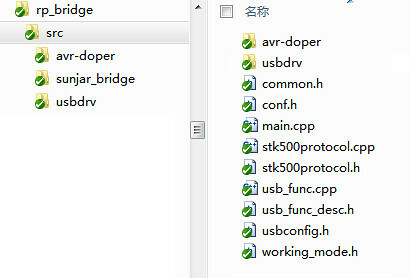 RoboPeak developed a driver-less AVR-Doper compatible programmer support the usb port: RoboPeak USB Connector. We will introduce and open source this project in later articles.